Even with Smart Content it can be tough to find a single figure from your library. 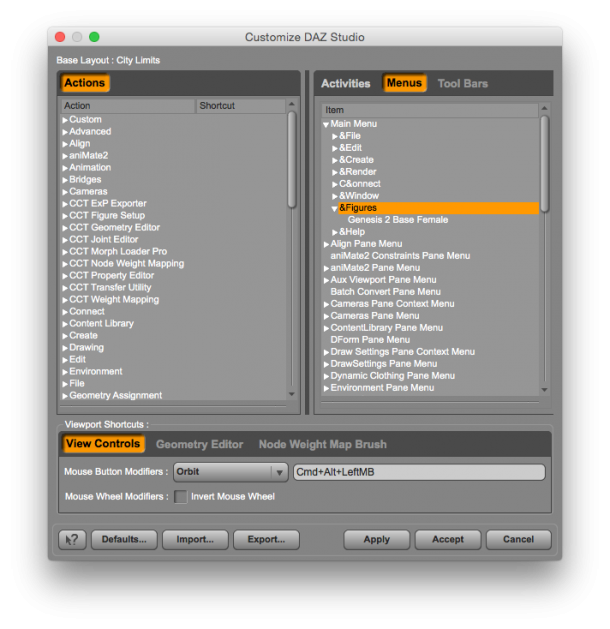 If you find yourself loading a particular character a lot, you’ll be pleased to hear that there’s an easy to way to setup shortcuts on the menu bar for such things. 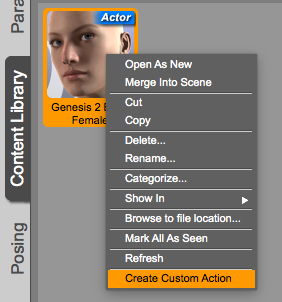 In this article I’ll show you how to create one for Genesis 2 Female. The principles are the same for any other figure in your library. First, find your figure in the Content Library. 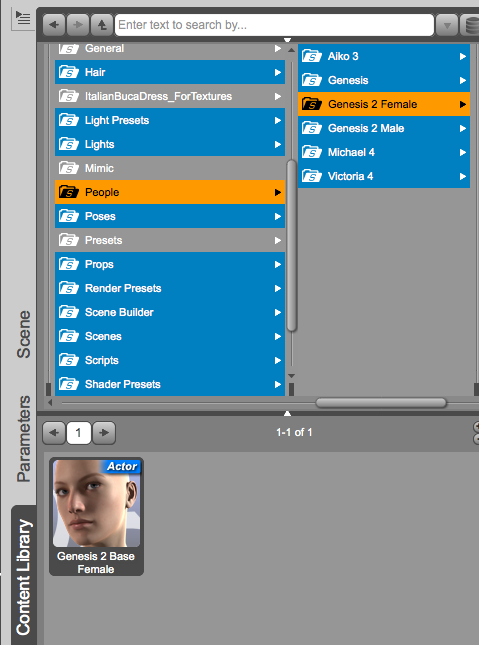 DAZ characters are generally located in My DAZ 3D Library – People. 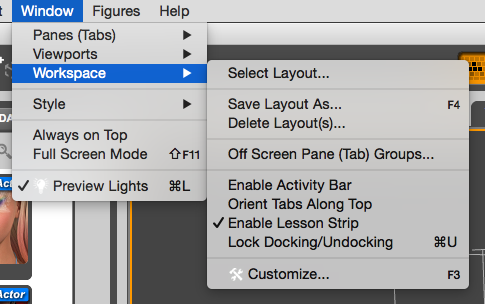 Right-click on the figure and select Create Custom Action. Note that this context menu doesn’t appear in the Smart Content tab – only in the Content Library. As soon as you do, a new menu item called Scripts will appear in your menu bar. Add any other figures you like and they’ll all make their way into the Scripts menu. Then head over to Menus and expand the Main Menu. Double-click the Scripts item and rename it – just amen sure the ampersand symbol is the first character. Feel free to drag the menu around to take a different place in the hierarchy.